Making a big move is something that most people don’t do very often, but when you do, it can be a heavy and tiring project. 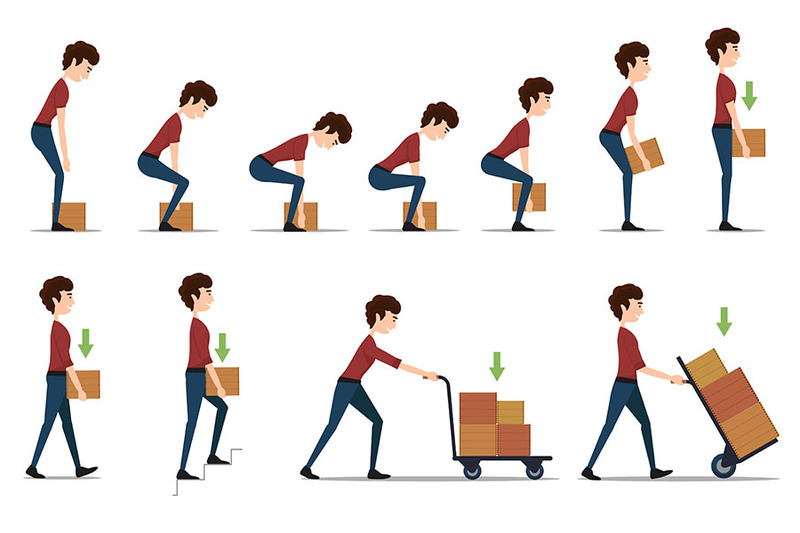 Even if you are only moving a few items out of your home and into a storage unit, it can still be physically demanding and there is the possibility of injury if you are not careful. In today’s blog, the pros at Affordable Family Storage in Des Moines offer helpful advice for staying safe and injury free when moving. Keep an eye out for forthcoming blogs that discuss more helpful safety advice for moving. The number one most important safety tip when making a move is to bring along a friend or family member to help. Whether you are moving very large pieces of furniture or lots of small boxes, a helpful friend will make the job easier and safer. For heavier items or items that are difficult to carry, team lifting is the way to go. When you team lift and communicate clearly, moving even large heavy items is much easier. Having a helper also means that you have someone who can spot you while you climb into and out of the moving truck with items. One of the most dangerous parts of moving is descending from an elevated surface while carrying boxes or furniture. Let a friend stand below to help keep you safe. Affordable Family Storage Quick Tip: Take breaks! When you have friends helping, moving can be enjoyable. Take frequent breaks to catch your breath and shoot the breeze, and bring along drinks and snacks for an energy boost. When moving items, especially heavy items, it is extremely important to use the proper safety equipment. That means wearing sturdy work gloves, a supportive back brace, and protective eyewear. Work gloves are guaranteed to save your hands some wear and tear every time you use them, but every once in a while your work gloves will prevent a very serious injury to your hands, and you’ll be very glad you have them. Wearing a back brace is something that many amateur movers ignore, but any experienced mover will tell you that wearing a back brace is very important. Similar to work gloves, wearing a back brace is guaranteed to prevent some minor aches and pains, but wearing your back brace will occasionally prevent a very serious injury to your spine. Don’t take any chances, and prepare accordingly. Protective eyewear is a piece of safety equipment that isn’t always absolutely necessary but is highly recommended anyway. Like other safety equipment, protective eyewear may not prevent a serious injury every time, but even a small chance of a serious injury to your eye is enough to warrant preparation. We take the safety and security of our customers and their valuable belongings very seriously at Affordable Family Storage. We want every customer to have everything they need to have a great experience when they choose our facility. That’s why we provide helpful advice, friendly and informed customer service, and top-notch features for security and convenience at our facilities. Contact us today to see how we can help!